I always get so excited prepping for the 4th of July. Maybe because I'm all about the holiday festivities, or maybe because I enjoy decking out in red, white and blue, or maybe it's summer and I'm just ready for something to look forward to... the options are endless. I'm excited / anxious about the 4th of July next week because I don't have any set plans just yet. All I do know is that I want to spend the holiday watching the fireworks over the Hudson River. I heard it's absolutely beautiful and a must-see for those in the City. 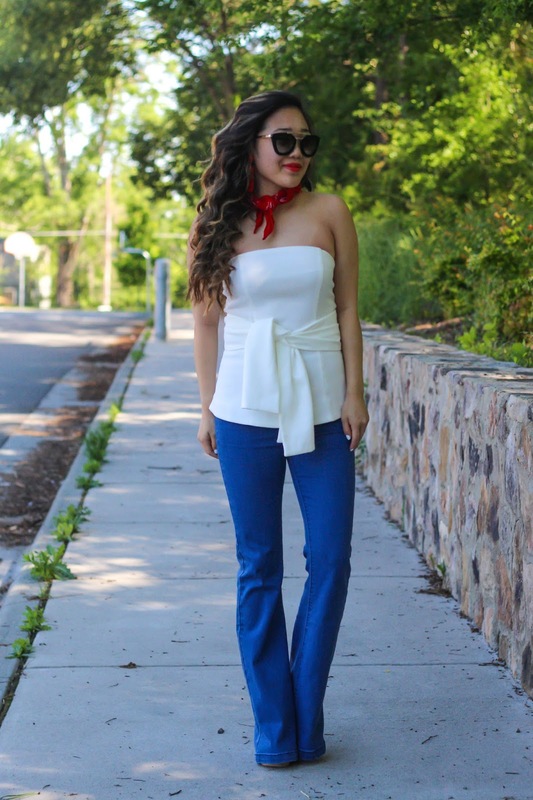 Even though I love my dark denim flares from fall and winter, you can still wear flares in the summertime. 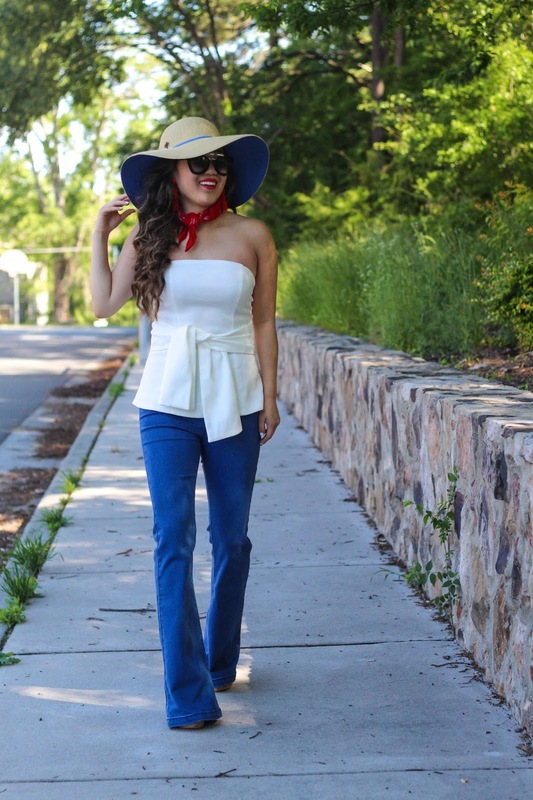 Just opt for a lighter shade, like these high-waisted ones. Not to mention, they're super comfy and stretchy! What's everyone's plans for the 4th? !